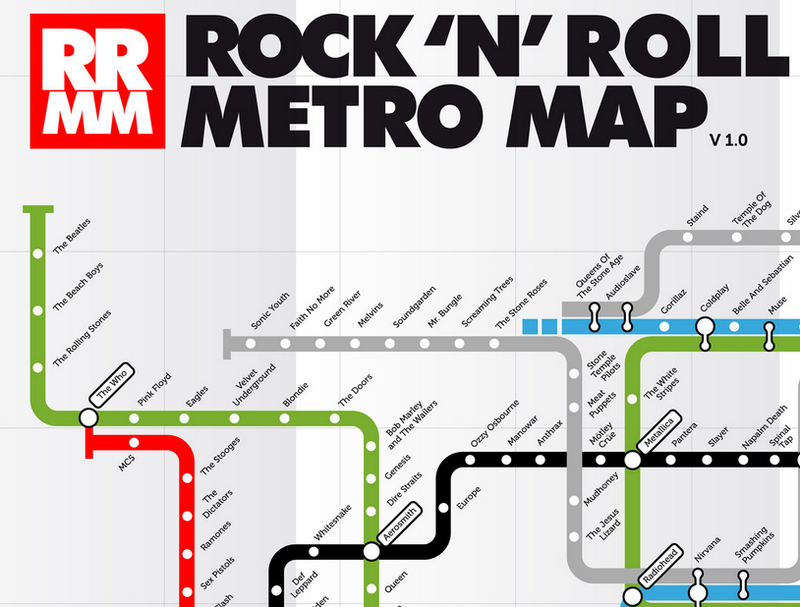 All sizes | Rock 'N' Roll Metro Map v1.0 | Flickr - Photo Sharing! I've ridden all those lines and have stops I love and hate on each. Well, except the Orange line, never found much use for any of those "Nu-Metal" bands.